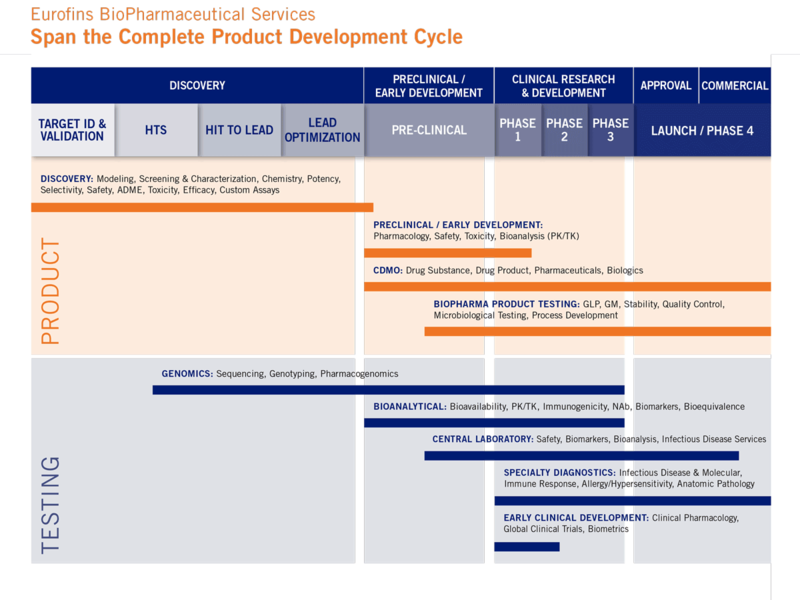 Eurofins is a first-class biopharmaceutical outsourcing services partner (Contract Research Organization - CRO, Contract Development & Manufacturing Organization - CDMO), working with pharmaceutical, chemical, biotechnology, medical device and cosmetic clients. The Group covers the whole chain of drug development thanks to an international network of laboratories and testing units with global reach, uniform QA systems and high quality services. Click here to read about our 2018 CRO Leadership Awards.